Edmontonia was an armored herbivore (plant-eater) from North America (its fossils have been found in the Horseshoe Canyon Formation near Edmonton, Canada, and in the Aguja formation in Texas). It lived during the late Cretaceous period, between about 76 and 74 million years ago. Edmontonia was about 22 feet (6.7 meters) long, and stood about 6 feet (1.8 meters) tall at the shoulder. Its body was protected by bony armor. The armor consisted of ridged plates covering its back and tail, as well as numerous spikes. Each shoulder held four particularly large spikes, and in some species of Edmontonia, two of these split into smaller sub-spikes. North American Dinosaurs - Edmontonia lived in North America. Edmontonia was a genus of dinosaur. "Edmontonia" is named after the Edmonton in Alberta, Canada, as it was first found in this region in the Horseshoe Canyon Formation. Edmontonia was a member of the Ornithischia ("bird-hipped") order of dinosaurs. What this means, is that although Edmontonia was not closely related to birds, it did have similarly shaped pelvic bones. Edmontonia lived between about 76 million years ago and 74 million years ago, during the late Cretaceous period. Edmontonia was a herbivore (plant-eater). Edmontonia was about 22 feet (6.7 meters) long, and about 6 feet (1.8 meters) high. Edmontonia weighed about 4 tons. Edmontonia was protected by bony armor consisting of ridged plates covering its back and head, and many sharp spikes on its back and tail. The latter included four large spikes on each shoulder, and in some species, two of these spikes split into smaller sub-spikes. BROCKHAUSEN Bastelbuch Band 4 - Das große Buch zum Ausschneiden: Briefpapier: Dinosaurier: Edmontonia. Dieses zauberhafte Bastelbuch lädt zu großem Bastelspaß ein. Hier wird ausgeschnitten und gebastelt. Das wunderschöne Briefpapier kann zum Beschreiben und Verschicken, als Dekoration und zum kreativen Basteln und Gestalten verwendet werden. BROCKHAUSEN Bastelbuch Bd. 4 - Das große Buch zum Ausschneiden: Bilderrahmen: Dinosaurier: Edmontonia. Dieses zauberhafte Bastelbuch lädt zu großem Bastelspaß ein. Hier wird ausgeschnitten und gebastelt. Die Bilderrahmen können als Dekoration im Kinderzimmer, zum kreativen Basteln und Gestalten und selbstverständlich als Geschenk verwendet werden. Und ganz nebenbei zum Bastelspaß werden die motorischen Fähigkeiten der Kinder geschult. BROCKHAUSEN Malbuch Bd. 2 - Mein Malbuch: Dinosaurier. Stegosaurus, Tyrannosaurus rex, Velociraptor und andere Dinosaurier. In diesem Malbuch gibt es auf jeder Doppelseite ein faszinierendes schwarz-weißes Ausmalbild mit vielen spannenden Dinosauriern. Die kräftigen Konturen der Bilder laden Kinder zum phantasievollen Ausmalen ein. Am Ende des Buchs kann man die Dinosaurier alle noch einmal ausmalen und findet ihre Namen. Selbstverständlich wurde das Buch nach pädagogischen Richtlinien entwickelt. Als eine Grundlage für das Ausmalen werden die Kinder zum Beobachten der Bilder angeregt. Wir empfehlen insbesondere das Ausmalen mit Buntstiften oder Wachsmalstiften. Auf diese Weise werden motorische Fähigkeiten der Kinder wie Stifthaltung und Stiftnutzung, entwickelt und gefestigt – eine wichtige Voraussetzung für das sichere Erlernen des Schreibens in der Grundschule. Vorgedruckte Schnittkanten erleichtern das Ausschneiden der fertigen Kunstwerke. Diese sind ideal zum Dekorieren und Verschenken. A handled board book made to look like a pet carrier with a front cover peep hole that reveals the dinosaur inside, perfect for any preschooler who loves dinosaurs and wonders what it might be like if they came to play. 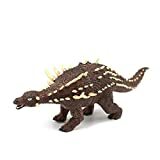 When they aren't taking their dinosaur for a walk in its carrier, toddlers can learn about five different kinds of baby dinosaurs—the triceratops, the stegosaurus, the diplodocus, the tyrannosaurus rex, and the edmontonia—and their features and characteristics, from the heavy stomps of their feet to their loud roars. Their imaginations will soar as little ones get to realize what it would be like if friendly baby dinosaurs came to play ball, go puddle jumping, and more. For all young children who love dinosaurs, Pick Me Up! Dinosaur is a "roar-rific" choice. Series Overview: Perfect for preschoolers ages 2–5 who love animals and long to have a pet of their own, each book within DK's brand-new Pick Me Up! board book series is designed to look like a pet carrier, with a handle and front cover peep hole revealing the animal inside. Ten interior pages introduce the animal and its characteristics with easy-to-follow text and bold images, encouraging pre-reading skills and essential preschool knowledge, while the books' novelty promotes imaginative play. “Dino” Don Lessem brings readers face-to-face with various dinosaur species, detailing their habitats, way of life and how they became extinct. An acclaimed dinosaur expert, Don Lessem has written more than 30 children’s books, writes a popular dinosaur column in Highlights magazine, and was an adviser for Jurassic Park. Take a trip through dinosaur time to meet these armored dinosaurs face-to-face: The thick body armor of Ankylosaurus was stronger than the teeth of Tyrannosaurus rex! Gastonia had eyelids covered with bone! Euoplocephalus could swing its tail club like a weapon! Plus, you'll get to know Edmontonia, Huayangosaurus, Minmi, Pinacosaurus, and Stegosaurus! 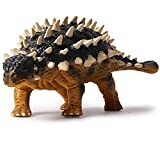 CollectA's replica of the Edmontonia is detailed and lifelike down to the unusual spikes on shoulders. The front half of this dinosaur was discovered and described in the early 1900's and dates to approximately 71 million years ago. The creature had bony plates on its back, with large spikes jutting from its shoulders. The Edmontonia probably grew to be 22 feet long and approximately 6.5 feet high. This beautifully sculpted, collectible figure from our Prehistoric Life Collection measures 5.3''L x 2''H. Each figure in our Prehistoric Life Collection has been approved by archeologist Anthony Beeson, a well-respected expert in paleoimagery. All CollectA models are individually hand crafted to the highest standards and made with the finest and safest phthalate-free, lead-free materials. Create a natural world in miniature with high quality toy replicas from CollectA. Our mission is to educate collectors and to provide the greatest opportunity for creative play. The lifelike dinosaur will be a great Gift idea. Size: 9.4"x3.1"x3.1"
Static action figure, also for adults, come and join with kids. The vivid dinosaur is designed for boys who like animals and have a sense of adventure. Its small body is easy to carry from home to school.Share the joy with peers. 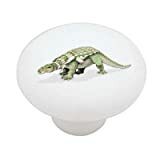 Cartoon Curtain Series Cute Edmontonia Cartoon Dinosaur W108 x L87 1549 Loop Curtain Panels Highprecision Curtains for bedrooms Living Rooms Kitchens etc. 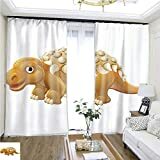 Cartoon curtain series Cute Edmontonia Cartoon Dinosaur W108" x L87" 1549 loop curtain panels Highprecision curtains for bedrooms living rooms kitchens etc. For your home, this curtain has a perfect home frame that offers a charming environment with a soft touch and a fresh look to decorate your room, including two different high-density flexible polyester panels. Suitable for most home decorating structures, giving you a pleasant day. Sun visor: Blocks sunlight and prevents furniture from being exposed to the sun. Energy saving: prevent summer and frost, suitable for hanging in the bedroom and living room. Reduce noise: Reduce noise in quiet environments. Privacy Protection: Create a relatively private personal space. 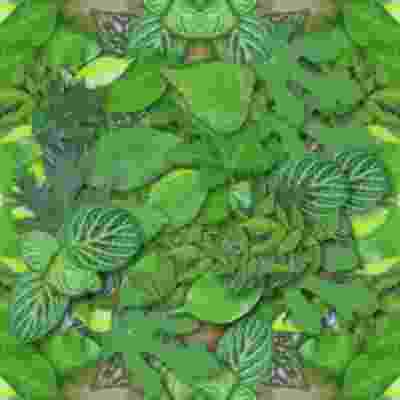 Depending on the computer/screen, the actual color of the project may differ slightly from the above. All of our curtains are handmade, so there are sometimes 2-3 cm differences. 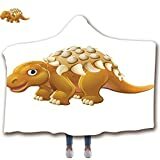 Oval Shaped Rug Pink Mat for Kids Room Soft Rugs for Bedroom/Bathroom,Cute Edmontonia Cartoon Dinosaur,15.7"x23.6"
Size: We provide 2 sizes choice for you! 15.7"x23.6" and 19.7"x31.5" (0.5"Height).The sophisticated colors and stylish patterns add tasteful style to your front door, home,living spaces, driveway and many more common areas! The rugs are available in various trendy colors and shapes to easily match and coordinate with your interior style. FUN COLORS & TRENDY DESIGNS:Our indoor area rugs has many colors aviable,for boys,girls,teens,office,you can always find a suitable one.it is also an ideal addition to homes with kids and pets.The mat is great for home decor, The door mat adopts selected ultrafine fiber and the latest stitching technology.Which can be used as kitchen rugs, bath mats, indoor welcome mats, home carpets, can be placed in bedroom, back door,office, industrial, commercial deal with high traffic and so on. SATISFACTION GUARANTEE: If you are at all unsatisfied with your product, please contact us (through Amazon if past the standard return window) and we will be happy to provide you with your choice of a replacement or refund. We stand by our products 100% and want our customers to love them as much as we do! This rug adopts the TPR( Thermo-Plastic-Rubber )material on the backing side, protecting the old and kids from any falling over or slipping in the bathroom. The rug mat will always keep in shape, which could be in service for several years. (If you are at all unsatisfied with your product, please contact us (through Amazon if past the standard return window) and we will be happy to provide you with your choice of a replacement or refund. We stand by our products 100% and want our customers to love them as much as we do! WASHING & SIZE：First of all，the blanket roll will be folded into a net bag into the washing machine; using general detergent and washing at room temperature，can not rinse; after cleaning，natural drying，can not use rotary cage drying，can not be ironed. FEATURES:Bright colors，clear patterns，velvet soft，even thickness，most of the acrylic yarn in the warp fabric on the bottom of many coils，and then pull out the velvet from the coil woven，feel plump，warm，but much lighter than pure blanket.Ultra soft premium fabric (100% Microfiber Fleece) printed outside，inside is colored white. Perfect for winter to just wrap them，watching TV，lounging on sofa/bed，reading，studying，sleeping，snuggling，camping，playing games，and napping. All our hood blankets are the highest quality standards for customized orders. High quality textured printed polyester printing with bright colors. The lining is made of super soft polyester wool like fabric to keep it warm and comfortable. Attractive colors,bright colors help you to be the most conspicuous star in party. High quality material,made of deluxe velvet,touch smoothly and comfortable wearing experience. Ideal for any medieval cosplay,Halloween themed party or adult fancy dress. Perfect gift idea for your mother, father, sister, brother, grandma, grandpa, wife, husband, son, daughter and all other beloved ones with 10's of thousands of surprising designs. If you're a fan of sports or have a hobby of any kind, you will be spending time with it in your own personal space.